As Instagram videos continue to dazzle, lovers of it are increasingly looking to keep a reminder. But as an artist, for example, how can you keep a collection of all that’s getting uploaded, especially from music shows? Welcome to the Instagram video downloader. Here are 10 Best Instagram Downloader Apps for iOS. This is probably the only app you’ll find that you can install on iPhone without paying a dime, to download videos and images. You get to use them directly to share videos and pictures that you fancy on Instagram. Facebook and Twitter are supported by this app also. The app is quite simple to use and does not include any form of the watermark to whatever you download. Be ready though, as it contains ads. This app costs 0.99, and it includes a SaveIG widget to your mobile device, making it easy to get videos and images downloaded on your phone. You can download videos and images either via the iOS widget or the SaveIG app on this one. The app is tidy to use with a simple user interface letting it be at the forefront of choices for iOS users as regards Instagram downloader apps. This is another application that costs $0.99; it is worth the amount as long as you aim to download content from Instagram. You get to Paste the link from the Instagram app to this app and this aids you to download your images and videos. It’s not a heavy app. Unfortunately, It crashes once in a while as you try to download videos, but all in all, it does a good job. This app costs nothing, and even though it supports ads, the ads aren’t so to that you’ll want to avoid them. Like most of the ones already listed, you’ll need the URL of the Instagram video you want to download to make the app work. When you have it, open the Regrammer app, paste in the URL, and click Preview. On the next page, you can choose to either download the video onto your device or repost it under your name. This is an amazing Instagram photo and video downloader app that lets you repost any Instagram image to your account. The app is blessed with a decent UI, so its use is simple to understand. For reposting images, you do not need to have yourself logged in, copy the URL and paste it in the app and there you go. You get repost unlimited photos and videos. You will not encounter any in-app purchase, but coins have to be bought for you to repost. Repostly makes use of the Instagram public API and relies on Instagram servers. Going by what the name should suggest, you get to directly save pictures and videos from Instagram to your phone gallery. All you have too do is copy the image or video URL and paste it into this app to download the same video or image. Also, it adds the content credit to image or video; therefore, you don’t get in trouble as regards the copyright of the owner. It is a paid app. 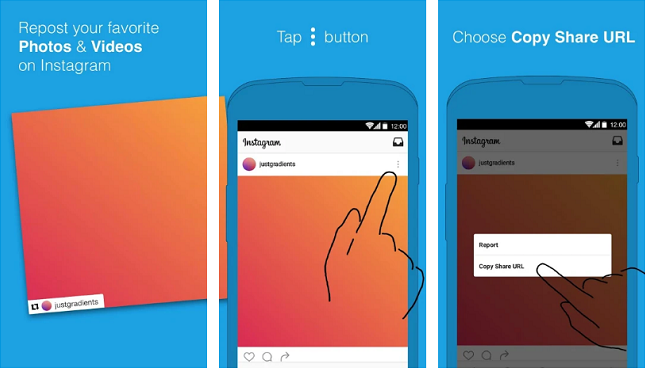 You get to enjoy saving videos and photos From Instagram easily. 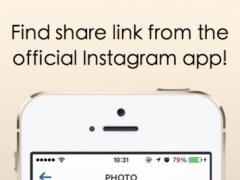 Just copy Link from Instagram and paste it to app, then save it in your iPhone. 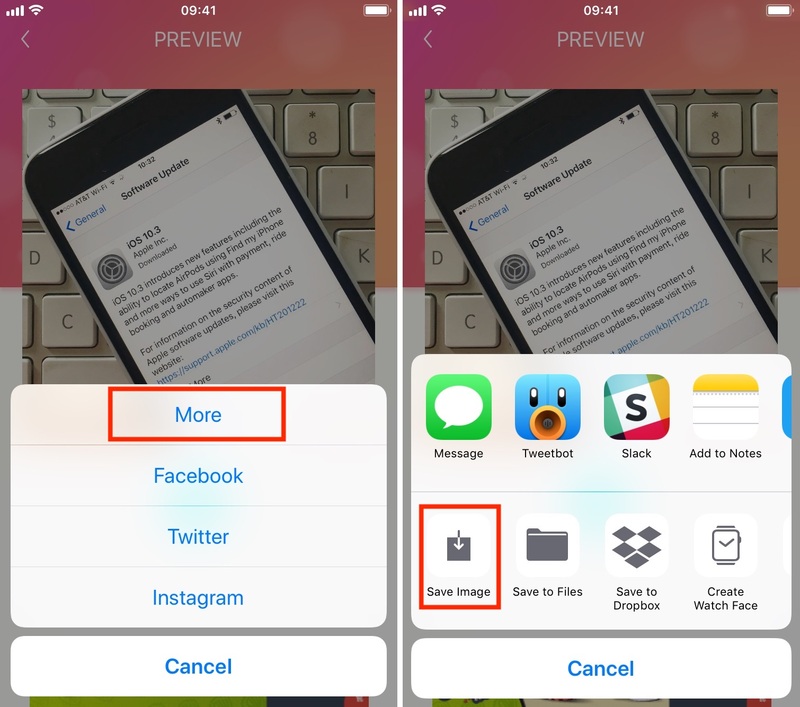 You can save Instagram photos and videos to your iPhone, and it costs you nothing. There are ads present, but you can have them removed. It aids users to save pics and videos that are available on Instagram, so your Instagram account does not have to be reloaded all the time to see them. This tool is a must-have for users that love getting their videos or images immediately they request for it. It is a utility app that goes a long way in aiding users to save photos and videos that public has access to on your device, so you do not have always to reload them each time you wish to view them. Be aware that private photos and videos cannot be downloaded. If you want to download all of your Instagram videos or save Instagram videos you like, this is the app for you. You get to come up with an IFTTT applet. To make the applet function, you will have to own an IFTTT account, an Instagram account, and a Dropbox account. The outcome is an automatic process in which any Instagram video you add or like is automatically downloaded and added to your chosen Dropbox folder. That is simple and worth trying if you ask me. This is a decent Instagram Downloader app for iOS. It makes a list because it saves your Instagram videos and photos into your iPhone photo collection. That’s a bonus because it aids re-posting across all of your social media accounts. You also have the option of getting those videos and images saved to your cloud drive. Which is excellent for getting performance videos to work with a subsequent music video, Or, helps you in the splicing of those clips into a wider live performance video release. There you have it. The best Instagram downloader apps for Instagram. All you have to do now is select one of the apps and start downloading media files from Instagram. If you have other suggestions for best Instagram downloader apps for Instagram, please do let us know in the comment box below.